Viewers of all ages will be singing your way home after seeing this brilliant family friendly movie during the holidays. Sing, the animation comedy family music feature film released in theaters December 21, 2016 by Universal Pictures, is brought to the big screen by Illumination. 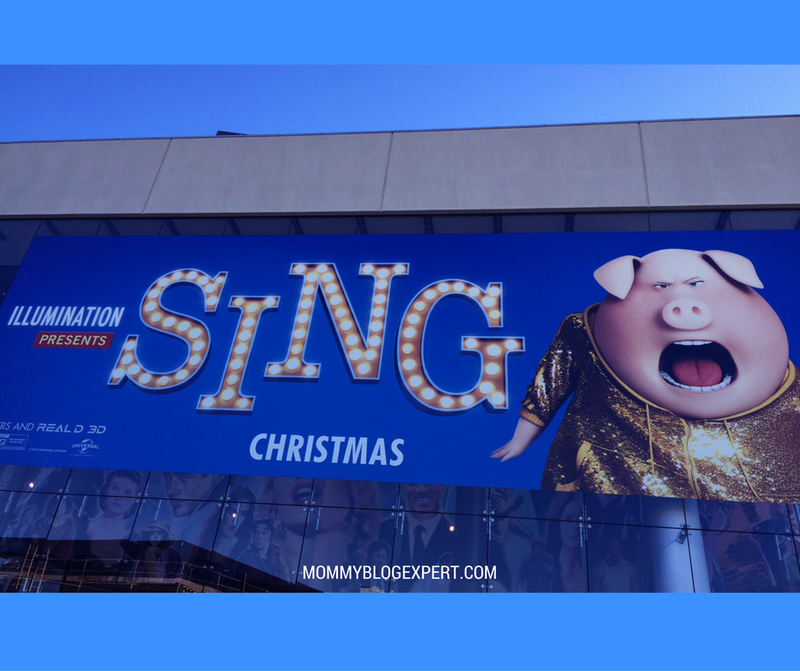 The new movie Sing is from the same talented creative dream team which wowed viewers in recent blockbusters such as The Secret Life of Pets, Despicable Me, Despicable Me 2 and Minions, the second highest grossing animated movie ever. There is a lovable animal character -- complete with human flaws and gifts -- for each of us to discover and relate to in Sing. 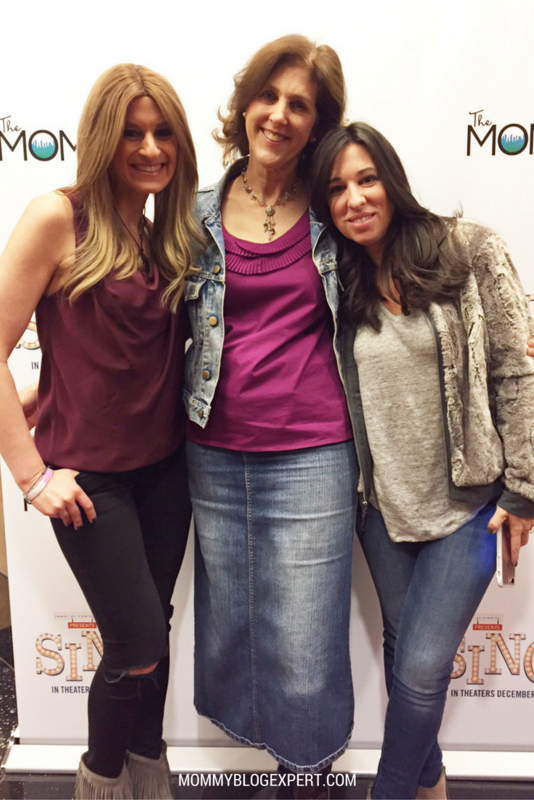 Sitting in a Century City theater with my friends Denise Albert and Melissa Gerstein of The Moms, who invited a group of L.A. bloggers to an advanced screening of this film, I was immediately drawn in to the plot. Shortly after the movie begins, if you are like me, you will also get pleasantly lost in the fabulous musical score that pairs with the screen action so eloquently voiced by an all-star cast of actors and actresses you'll immediately recognize. 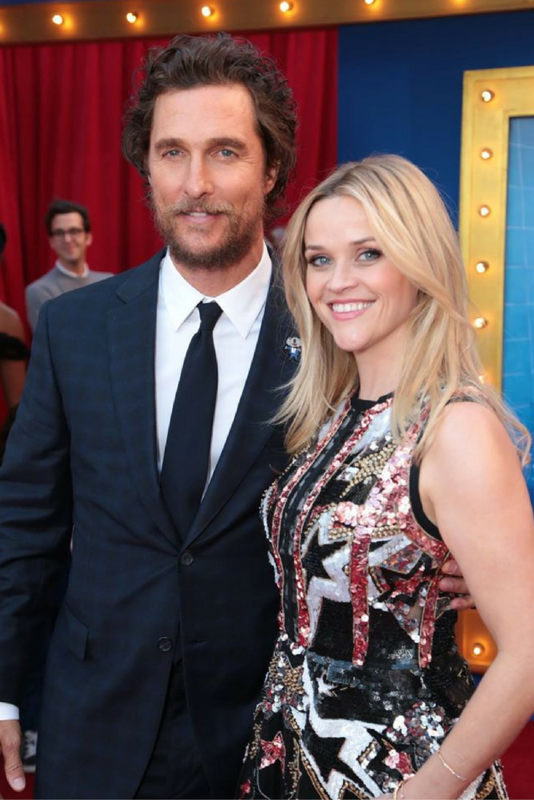 The film stars Academy Award winners Matthew McConaughey and Reese Witherspoon. 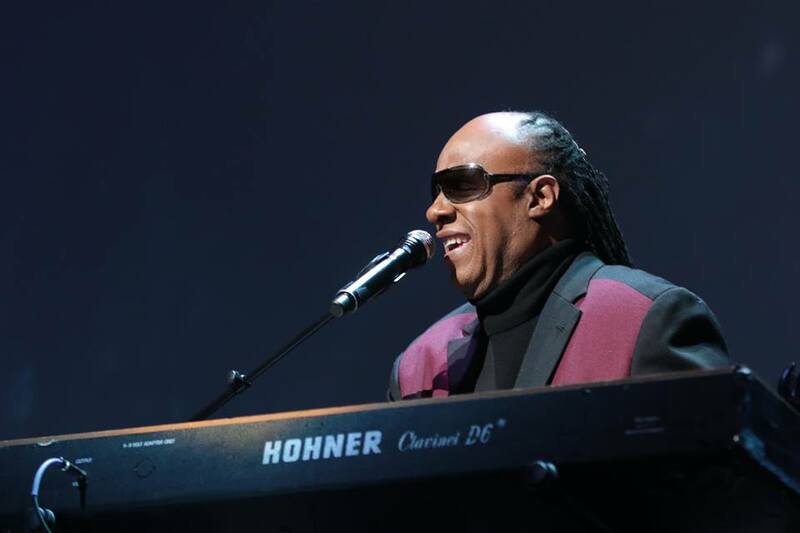 Joining them in other leading roles are Seth MacFarlane, Scarlett Johansson, John C. Reilly, Taron Egerton and Grammy Award-nominated Tori Kelly. This is the first collaboration between writer/director Garth Jennings (Son of Rambow) and Illumination founder/CEO Chris Meledandri. Much like the animated hit movie Zootopia, Sing takes place in a human-like world where only animals live. As the film opens, we are introduced to Buster Moon (McConaughey), a koala who inherited an old theater from his family and that is now failing. Fearing that this family legacy will be lost forever, he jumps into high gear to produce the world's greatest animal singing competition, American Idol-style. Once word gets out that there's a singing contest to enter with a big money prize to win, hundreds of all types of animals show up to audition. Competition is stiff and in the end Buster narrows it down to five contestants: Mike the mouse (MacFarlane), a con-man who also sings; Meena the elephant (Kelly), a super shy teen with the voice of an angel who is wrought with stage fright, Rosita the pig (Witherspoon), an overloaded mother tending to a litter of 25 kid piglets while her husband is out all day at work; Johnny the gorilla (Egerton), a gangster who is caught up in a family of felons and wants to turn honest; and Ash the porcupine (Johansson) a punk-rocker trying break free of her arrogant, controlling boyfriend to go solo. As the mom of four kids born within a year including triplets as well as the wife of a busy doctor working long hours at the hospital while I had four in diapers at home, it was easy for me to see who I could most relate to: Rosita, the mommy piggy. Like her, though I love my kids what I really wanted to do was go out and work to use my gifts and have a fulfilling experience beyond being a mother. Set to the tunes of more than 65 hit classical songs spanning many decades and music genres, from Frank Sinatra's My Way to The Beatles medleys Golden Slumbers and Carry That Weight performed by Jennifer Hudson to an original song Faith, by Stevie Wonder and Ariana Grande, each competitor as well as Buster face challenges along the way. This is a movie not only about the end result, Buster and the other characters learn, it's also the journey toward reaching for and realizing your dreams. An upbeat picture, this would be a wonderful way to enjoy some quality time with your children, and perhaps their grandparents, during Christmas and Hanukkah this year. 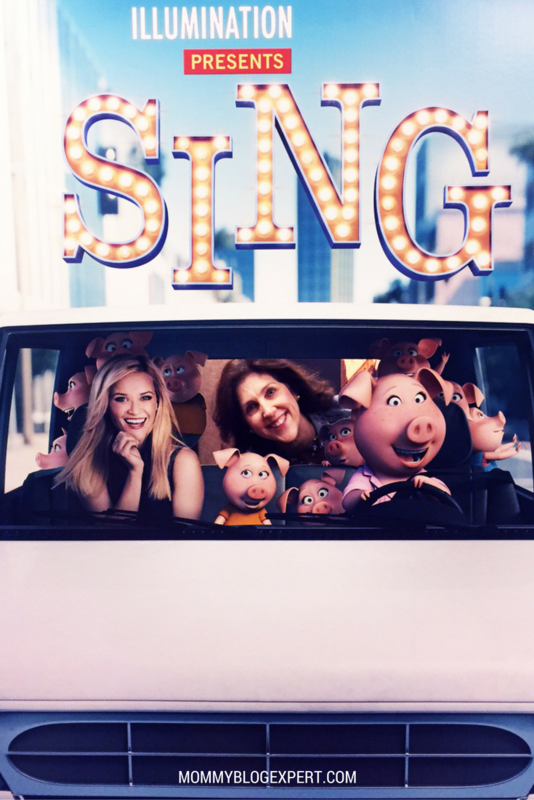 Sing is in theaters now nationwide. Keep up to date on all the latest news by following the film on the official site as well as on Facebook, Twitter, and Instagram. FTC Disclosure: Unless otherwise noted, Illumination and Universal Pictures provided the images in this post. MommyBlogExpert was invited by The Moms to a special advance screening of this movie to facilitate this review. No payment or other compensation was received in connection with this post and opinions here are my own. See complete FTC Disclosure information that appears at the bottom of MommyBlogExpert's home page and at the bottom of every individual post on this blog, including this one. We are wicked excited for this movie. We are going to see it next week when the kids are on vacation. My 4 year old loves singing and will love this movie. Maybe Ill take her ot the theater, my other daughters would love it too. I know my kids are going to want to watch this movie. They already have the Koala guy toy and are eager to see it. I can't wait to see this with my kids. We have our own singing fun at home so I know they'll love it! Sing looks like it's going to be SO GOOD! It's like Disney meets Glee! Yay! We are so excited to see this movie. The kids have been watching the trailers for it over and over. I am looking forward to seeing this movie. I am so happy it is getting so many great reviews. I love movies with music. This movie is going to encourage a lot of kids to sing and go for their dreams. I cannot wait to see this movie! The previews look so awesome, the whole family wants to see it. This looks like such a cute movie! Waiting for it to come out on video to watch with my three year olds! I can't wait to see this movie. It looks like such a great one. My girls would love to see it! 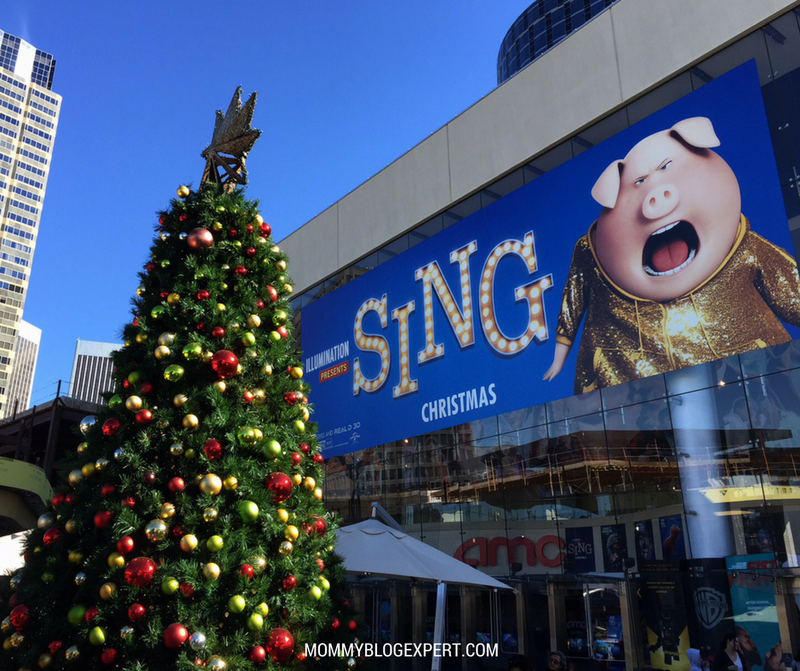 I have seen Sing advertised on TV and can't wait to take my son to see it. I love the variety of songs. I can't wait to see this, we already have a date set up with the kids. Looks like a great film. My daughters have been asking me to take them to see Sing! Thanks for the review. I love any movie with music! I want to see this movie so badly! I figure if I loved the minions, I'll love this, too. This movie looks fantastic. I can't wait to take my grandkids to see it! My kids are getting crazy about this movie! They really can't wait to see it! I liked the trailer of the movie and I hope kids will love it too. I am going to watch it on coming weekend. We cannot wait to see this movie! My children are soon excited!